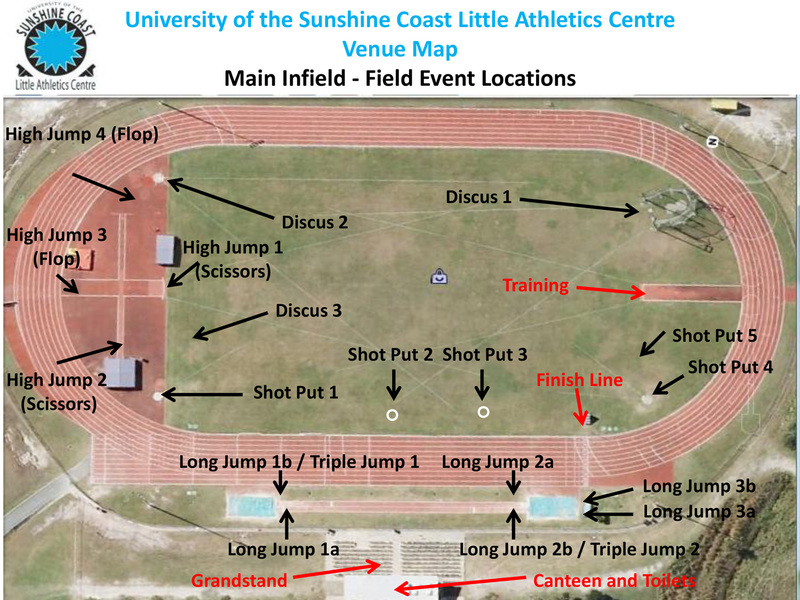 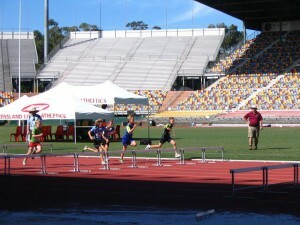 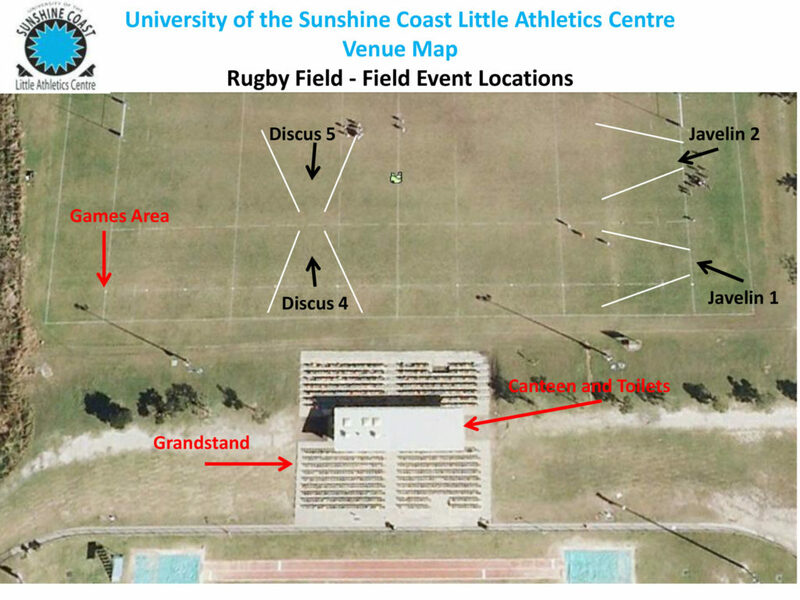 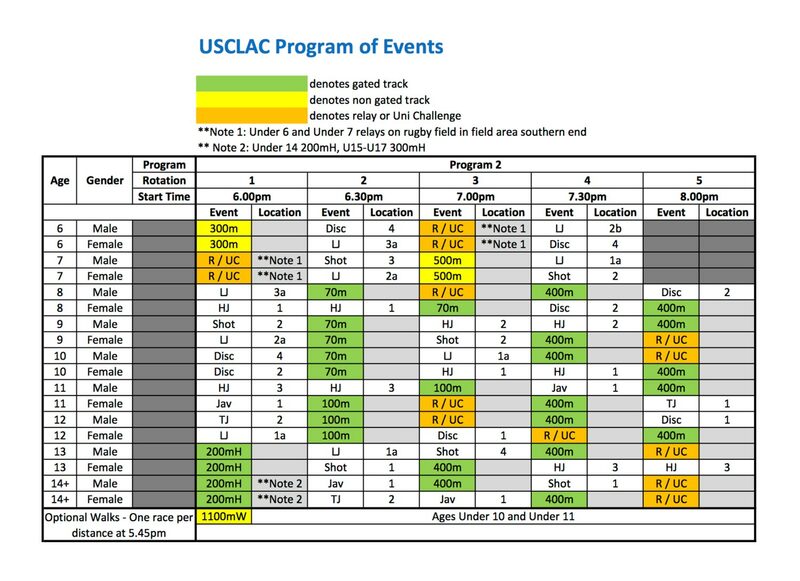 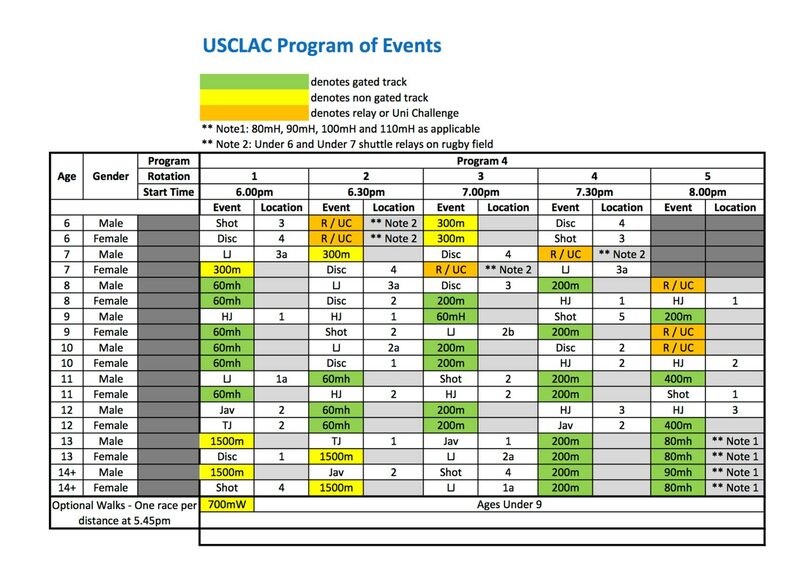 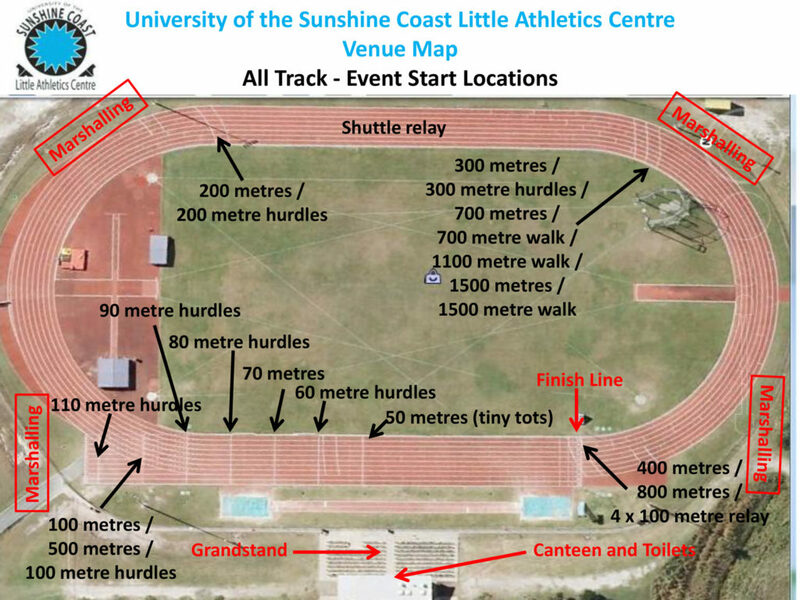 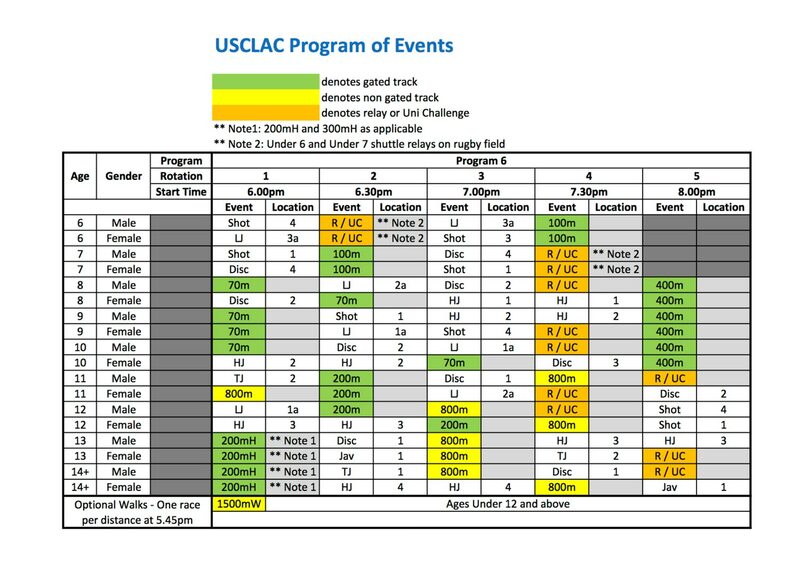 USCLAC competitions are Friday nights from September through to March. 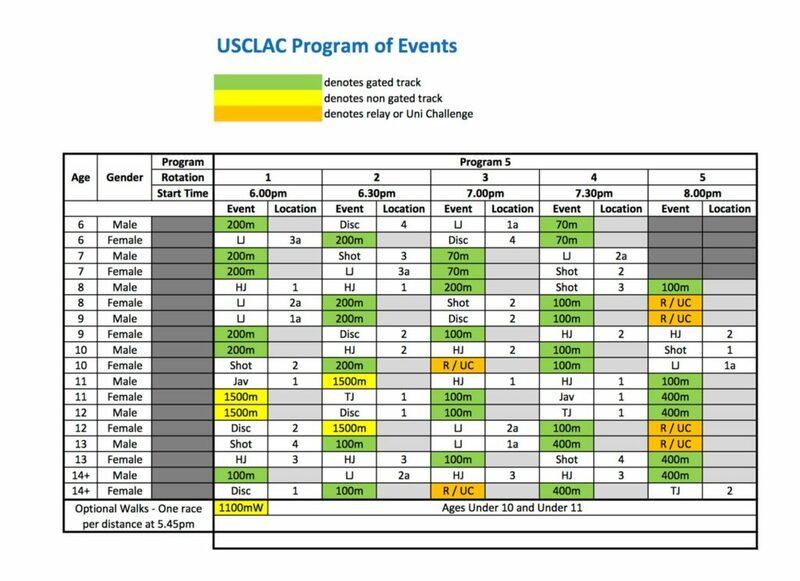 We run a 6-week rotational program to give all athletes the chance to compete in all available events for their age groups a number of times throughout the season. 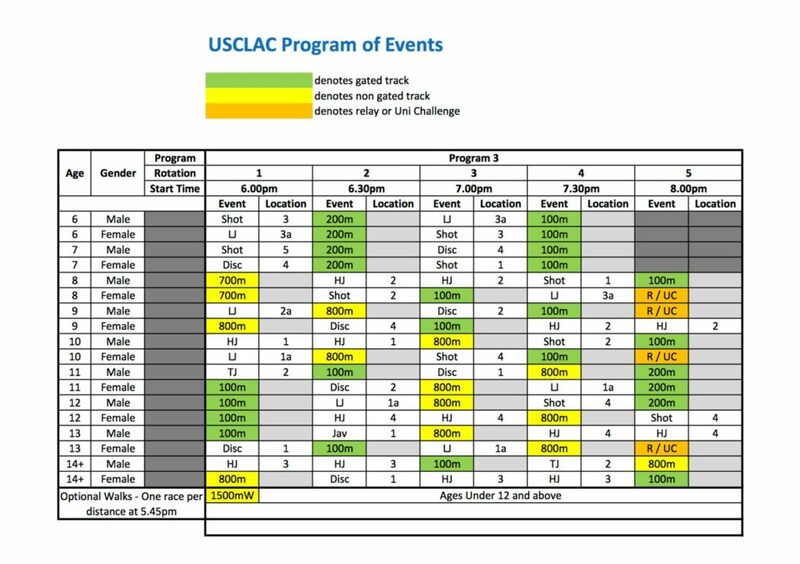 Each age group will compete in 4 to 5 events on each competition night. 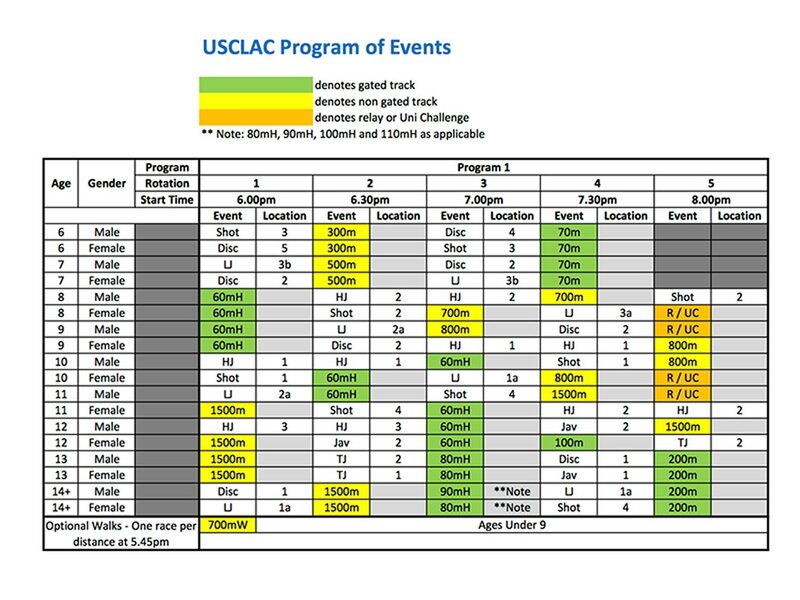 Our Tiny Tots compete in their own program each Friday night which is designed to give them a taste of what Little A’s is all about. This includes racing on the track, Long Jumps, mini hurdles and specifically tailored fun versions of High Jump, Shot Put and Discus.